The design helps to build an emotional connection with your audience. 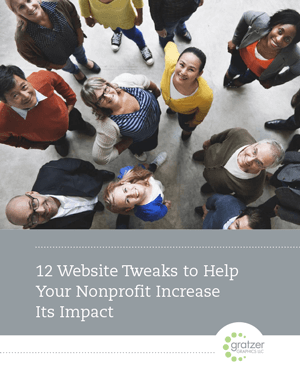 What does the design of your website say about your nonprofit? If the design is inconsistent with the rest of your brand (meaning the look of and tone of your other materials), then it may say your organization doesn’t pay attention to details. It could also mean that visitors won’t know if they’re in the right place when they get to your website because they won’t immediately recognize it as belonging to your organization. So if they already know and trust you, they might be confused. If the design has an outdated look, then it could say that your organization isn’t doing well financially or isn’t modern, professional or forward thinking. If the design doesn’t appeal to your target audience, then when they come to your site, they won’t feel like they’re in the right place or that you understand them and their needs. If you serve two distinct audiences, such as health professionals and consumers, then the design and choice of images (and especially the text!) need to be specific to each audience. What appeals to each will be different. For example, consumers won’t understand medical jargon or images, and medical professionals will need to see the more technical language. If the design doesn’t make the content easy to find and read—say, text is too small or headings don’t stand out enough to help them find information—then they will be frustrated and may leave your site. (Not everyone knows how to increase the font size in the browser!) They may decide to e-mail or call to get answers to their questions. But that might be an extra step they shouldn’t have to take—and it makes more work for your organization (who will be handling all of these inquiries?). If the design doesn’t have calls to action (donate, volunteer, sign up, etc. ), then visitors won’t know what actions they should take, what they should do next or find it easy to do so. Lead them down a path and make it clear and easy. What does the content of your website say about your organization? If the copyright date on your website is dated two years ago, it could give the impression that your organization has abandoned its website or maybe isn’t in business anymore. Visitors may hesitate to call or reach out via e-mail, thinking they’re not likely to get a response—or a timely one at that. If you haven’t published a blog post in six months, then it could leave the impression that your organization is not very active, that you don’t have anything new to report. It could make visitors question if/when they should come back. Donors and volunteers of your organization will want to see what’s going on and be reminded of the great work you’re doing and what their donations are contributing to. 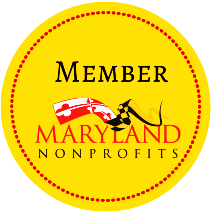 If you have members, they will want to see what you’re doing to add to the value of their membership and where their dues are going. Adding new or updating existing content regularly encourages people to come back to find out what’s going on. If you use dated-looking stock photos or clip art, then it could say that your organization isn’t modern. then you’re asking people using mobile devices to do work to get around your website, resorting to pinching and panning. Annoyed, they might do that or they might just move on to another organization’s site. Mobile-friendliness is standard nowadays, as it is estimated that about 60% of searches are done on a mobile device. you’re hurting your search engine ranking because Google ranks mobile-friendly sites higher than those that aren’t. Check to see if your website is mobile friendly. Many organizations assume—incorrectly—that someone with a disability isn’t using their site. Unless someone was to complain, you probably won’t know if any of your visitors have color blindness or macular degeneration, is a veteran without a right arm using an assistive device to interact with websites, or is someone who suffers from photoepileptic seizure or vestibular disorder who’s affected by quick flashing or motion. If your website is slow to load, it will frustrate users, who are waiting for it to load. You only have seconds to get their attention, so if they are, say, ready to donate, sign up for your service or sign up for a membership, will they leave the site instead of waiting? Will they return to your site in the future? Read more about page load times and their effects. If your website doesn’t utilize SSL (meaning the URL shows with “HTTPS” instead of “HTTP”), then it could be negatively affected in three ways. Trust. Certain browsers (Chrome and Firefox are big ones) will display a warning that the site is not secure. The majority of website users won’t understand what this means and, as a result, may become alarmed and not want to fill out any forms or may leave your site. Search engine optimization. SEO affects how well or how poorly your site ranks in search results. Google has said security will play a part in how they rank sites in search results. So, if you have a secure site and your competitors don’t, that could give your organization a boost, meaning more people will find your website. That could result in more donations, memberships or clients. Performance. SSL can improve page load times. Slow-loading pages cause visitors to become frustrated and leave your site, meaning your organization will miss out on that donation or new member or client.